LG V20 First Look and Tour! 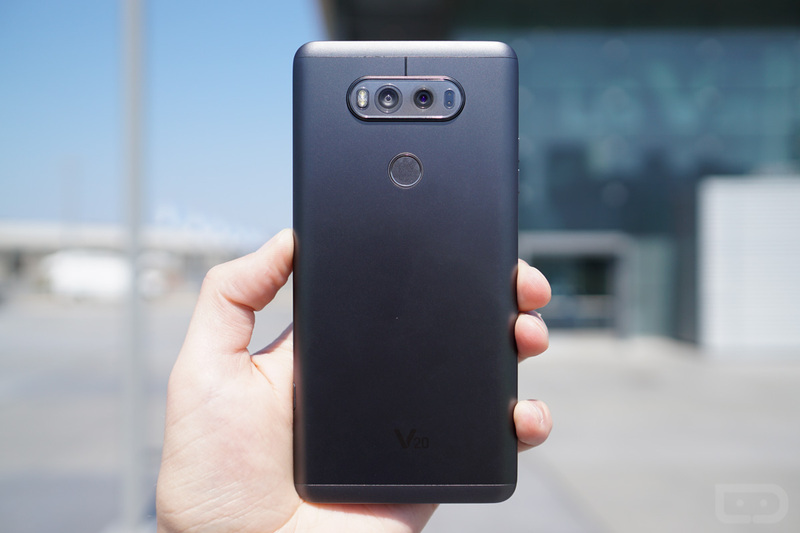 Oh the LG V20, the return of stuff and things. In all seriousness, after really learning to appreciate the “stuff and things” of the V10, last year’s surprise sensation, I’m pretty excited for the V20 even though Nexus Pixel phones are on the horizon and the Note 7 is/was available. The V20 is just a different kind of beast that focuses on media, which means dominating audio and video. In my short time with the V20 earlier today, I certainly came away impressed by the overall package. I don’t know that anything is new here in the sense that none of this has been done before in a smartphone, but LG has packed in a bunch of pieces that other phones have used and created a single package. You get the HiFi Quad DAC, dual cameras, Snapdragon 820 processor, lots of storage (64GB base), QHD display with a secondary display, tough metal construction, removable battery, and Android Nougat. It has a lot of those “stuff and things” going on. I will say that the design is a bit boring. Remember, last year, LG went a bit wild with the V20 design by offering up a phone with huge steel panels and a DuraGuard exterior in gold and baby blue colors. This year, the V20 is missing all of that, including the outlandish paint job. The subtle design may be for some, it’s just that the V10 was so refreshing in its weirdness. As you know, the V20 is coming soon (this month in Korea, elsewhere after) and so we will have much more over the coming weeks as we lead up to a review. For now, enjoy the first look! When and Where can You Buy the LG V20?